IZ’s “Over the Rainbow” in a very cute European car commercial showing the bond between a man and his car. Songs always remind us of special people (or things/events/times) in our lives. 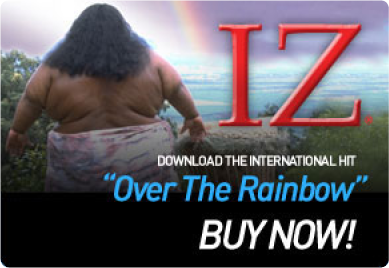 What does “Over the Rainbow” or any of IZ’s songs remind you of? Love this version.. Very uplifting for me….makes me think of mistakes made in the past and the lessons I have learned since they happened.